A rescue deal to secure the immediate future of Interserve, a construction and outsourcing company, has been brokered and awaits shareholder approval. This is good news for its 45,000 UK employees, but also poses questions about the company’s long-term viability. Interserve has a turnover of about £3.2bn and 70% of that comes from the UK government, which despite the Carillion failure is intoxicated with outsourcing rather building an in-house facility. The demise of Interserve would have blown a big hole in the government’s procurement policy which has still not recovered from the Carillion collapse. The company has been expanding by taking on contracts with profit/cash margins. It also got its fingers burnt in the Energy from Waste schemes as it sought to diversify its revenue streams. To appease stock markets, it continued to hike dividends. For the year’s 2006-2015, the company’s dividends grew massively but that was not supported by its cash or earnings. In 2017, it reported a loss of £254m (£102m in 2016), but still paid out a dividend of £37.1m in 2016. To finance its bad investment and dividends, Interserve built a debt mountain. Its long-term debt increased from £406m in 2015 to £647m in 2017, and in 2018 reached £807 million. It owes £799m to suppliers and has a pension scheme deficit of £48m. In 2017 Interserve paid £28.4m in interest charges compared to £23.3m in 2016. For the first half of 2018, the interest payments rose to £31.1m. A loss-making company, with low margins on contracts and turnover of £3.2bn cannot sustain a debt of £807m. So the deal has been cut with banks to convert £480m of debt into shares. This may provide some breathing space. The most profitable part of Interserve is RMD Kwikform (RMDK), a supplier to the construction industry, and banks were keen to take control of that. This would have pulled the financial rug from Interserve and jeopardised the government’s outsourcing policy and future of many contracts. So, under pressure from the government, RMDK remains with Interserve but is loaded with £350m of debt. If Interserve defaults in debt payments, its control of RMDK would be handed to lenders, which include HSBC, RBS, BNP Paribas, Emerald Asset Management and Davidson Kempner Capital. The day for reckoning for the government’s outsourcing obsession may yet come. 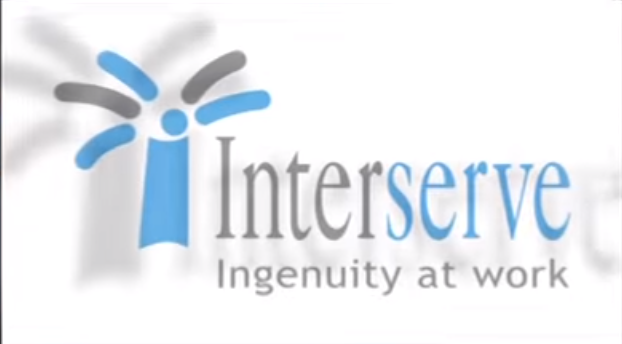 Whilst one would wish Interserve every success in its quest for survival, it faces numerous difficulties. The structural fault lines exposed by the Carillion collapse have not been addressed. Carillion overstated its profits (understated its losses) and assets. A good example of that was that it did not amortize (or depreciate) goodwill in its balance sheet. It also was aggressive in recognising profits on long-term contracts which subsequently turned out to be a mirage. Despite the Carillion collapse, accounting rules have not been changed. Goodwill accounting is also a problem at Interserve. Its balance sheet shows goodwill at £373m, which dwarfs all of its long-term productive assets. Some say that the amount assigned to goodwill is an indication of the possibility of earning super profits. This argument cannot be applied to Interserve. It has low margin contracts, been making losses and has a huge liquidity problem. In a very competitive construction industry, there is little chance of earning any super profits. So a prudent approach would have been to show goodwill at very low value and possibly zero. In that event, Interserve’s losses would have been greater and its balance sheet would be decimated. It will have to face that fact soon. Banks may become new shareholders in Interserve but they are not used to forgoing returns. The pressure on Interserve to declare higher earnings dividends won’t disappear. Its directors are on performance related pay and need to boost earnings. For the period September 2017 to December 2017, its chief executive collected £525,900 comprising a salary of £216,667 and a bonus of £270,089 plus other contributions. The bonus has been paid in a period of loss-making, rising debts and deterioration of the financial position. Directors also hold shares and share options and their value depends on corporate earnings and profits. In the post- Brexit stagnant economy, the perverse financial incentives for executive will encourage aggressive financial engineering. The company’s remuneration and audit committees and non-executive directors have failed to focus on risk management. The groupthink in the boardroom could have been disrupted by representatives of employees and other stakeholders, but such interests are not represented on the company board. Interserve’s financial woes have been making headlines for some time, but have not encouraged any regulator to examine the position. The Financial Reporting Council (FRC) has done nothing to examine the company’s accounting practices. The Financial Conduct Authority (FCA) has done nothing to examine the quality of information provided to markets. The Pensions Regulator (TPR) has been silent about the pension scheme deficit and its possible consequences for employees. No lessons have been learnt from the Carillion collapse and there is still no joined-up proactive approach to regulation.